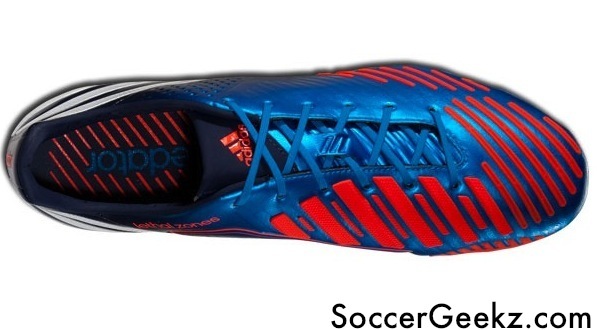 The Predator LZ weighs in at 225 grams (8.0 oz.) 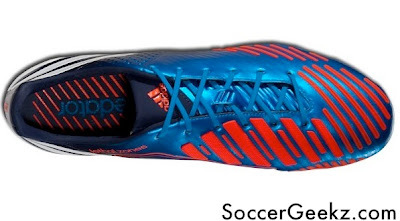 thanks to the new and advanced hybrid synthetic upper. The Predator LZ contains five lethal zones designed to master all aspects of your game. The first lethal zone to be advertised by Adidas was 'First Touch'. 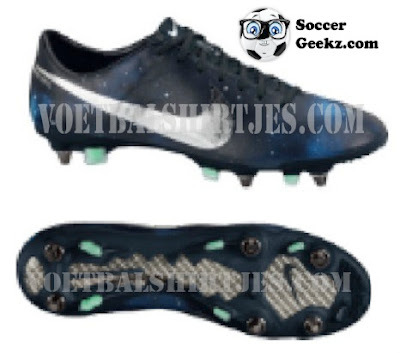 The 'First Touch' zone is located on the forefoot of the boot and contains recessed ribs to ensure optimum cushion to create a vacuum effect to trap the ball. The 'Drive' zone is located on the inside vamp of the boot and contains thicker raised 3-D panels that follow the natural shape of the instep to create a rebound for maximum distance and power. "SL rubber meets ball to open the game and nail that explosive long pass". 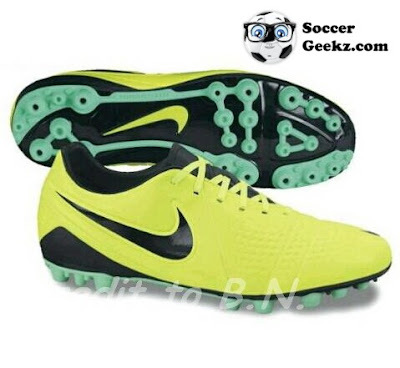 The 'Pass' zone is located on the instep of the boot and contains a large memory foam panel with Sticky-print in top, which allows longer contact with the ball for precise passing. 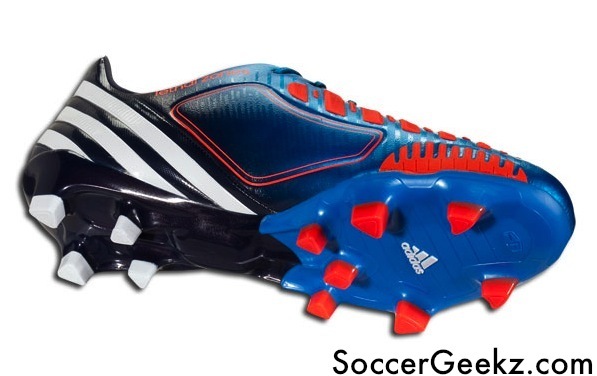 The 'Dribble' zone is located on the forefoot of the boot and provides optimum grip on the ball. The short ribs deliver a faster grip-and-release control on the ball. The 'Sweet Spot' zone is located on next to the pass pad and contains raised 3-D ribs that allow for a longer contact with the ball to deliver more power while generating greater spin on the ball. 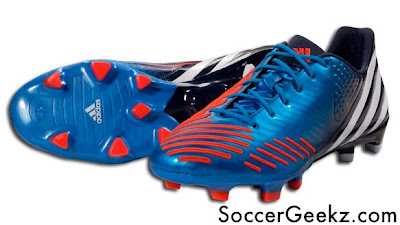 The Predator LZ also sports a miCoach Sprintframe, meaning players can track their performance statistics, which includes data such as distance, maximum speed, and sprint count. 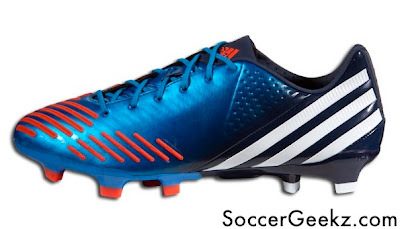 You can pre-order the Bright Blue/Infrared/Collegiate Navy/White Predator LZ over at WeGotSoccer for $198, saving you $22 off its retail price!